If you are thinking of buying a new house Agas Services would strongly recommend that you call us to do a full gas safety report on the property you are buying. A Landlords/Home Owner Gas Safety Report or CP12, as it’s known in the trade, will allow us to check over the gas appliances and gas supply within the property to ensure that they are in good working order and safe to use. A good surveyor would normally recommend this as it can save you money on any remedial work that may need to be carried out before the purchase of the property. 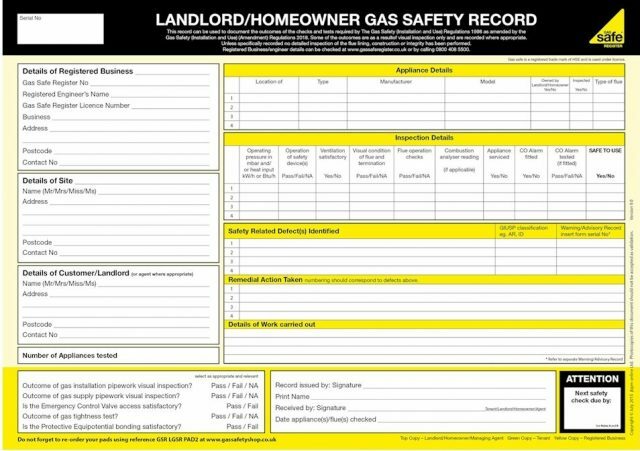 Also, if you are a landlord renting out properties by law you are required to have a Landlords Gas Safety Report in place each year. Agas Services your local Gas Safe Registered Engineers. You can’t always be sure when the appliances and pipework in your new property were last serviced and checked. Buying a new home? Agas Services are able to provide you with a gas safety report on any property you are thinking of purchasing. Landlords have a legal duty to ensure that any residential rented properties they own have annual safety checks carried out on the gas appliances they provide for their tenants’ use. Agas Services are able to install, service and repair all your gas appliances. Call us for a free no- obligation quotation or free survey at a time that suits you. All of your gas appliances including your gas boiler, gas cooker and gas fires should be safety checked once a year and serviced regularly according to manufacture’s instructions. Gas appliances that are left unchecked could be dangerous and leak carbon monoxide. Landlord/Homeowner Gas Safety Record CP12. Suitable for when buying a property. Required by landlords when renting out propertys. 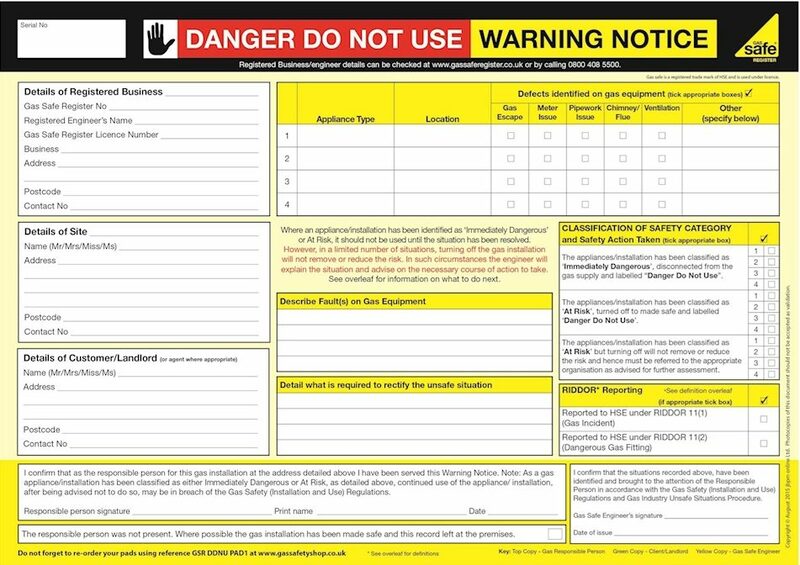 ‘Danger Do Not Use’ Warning notice. Unsafe situations deemed at risk or immediately dangerous. Chimney systems In voids checklist available. A wide range of gas certificates available. Expert installation and service from Agas Services.